Little Rooster, a series of oil paintings by James Williams II, tells the story of a young boy who lives a seemingly idyllic life in the United States during the 1930s. The boy has a loving mother and a wealthy scientist father who direct all aspects of his life. 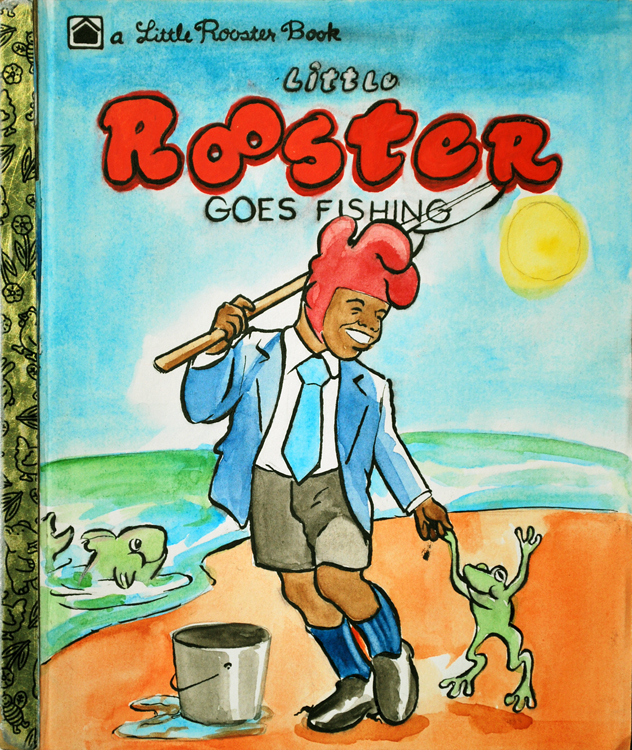 When adversaries of the family are introduced into the story, the boy is assigned a bodyguard, the ultracool and courageous Red Rooster, who possesses strengths the boy doesn’t see in his own father. As the boy’s admiration for Red grows and their relationship deepens, the boy adopts the name “Little Rooster.” Eventually, despite his longing to remain a child, events force him to confront the burdens of adulthood, including the life-changing decision to continue Red’s heroic legacy on his own. The work dramatizes many scenarios from the artist’s childhood while also tackling broader concepts that resonate with us all: how we define right and wrong and how we make life decisions. Williams feels that while adults often see the world as gray and monotonous, children visualize color and endless possibilities. He illustrates his epic story with bright color palettes and stylized figures that reference vintage comic books and the moral lessons of children’s books. Marrying the lexicon of pop culture with his more painterly sensibilities, which are informed by more “high art” sources such as John Singer Sargent, Williams is on path toward mastering the formal aspects of his craft. 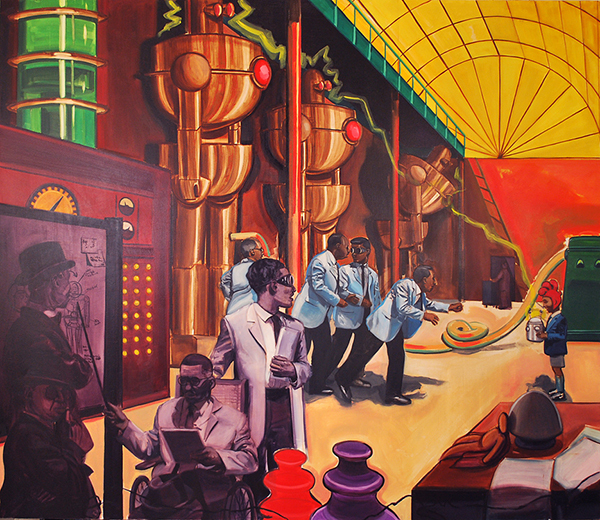 James Williams II holds an MFA from the Maryland Institute College of Arts and a B.S. from The State University of New York College at Cortland. He is a recipient of the 2009 MICA Bromo Seltzer Award and the 2009 MFA Joan Mitchell Foundation Award, and was awarded the Tom Miller Scholarship and the Mount Royal Scholarship at Maryland Institute of Arts. Little Rooster has been shown at IAM Gallery in New York City. 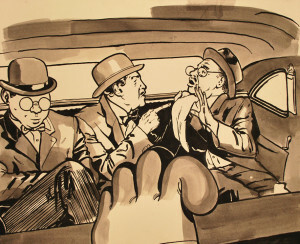 Williams’ work has also been exhibited at Onondaga Community College in Syracuse and RTLK Architecture Gallery in Baltimore. This entry was posted on Thursday, April 8th, 2010 at 1:04 pm	and is filed under Art. You can follow any responses to this entry through the RSS 2.0 feed.